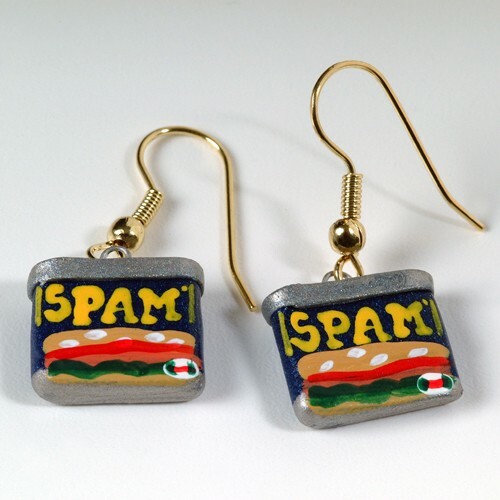 Earrings are individually handmade and painted as replica SPAM® Can. Gold tone wires for pierced ears. Approximately 1/2" tall. Sold as a pair. You may also like the retro black and white can earrings G6510.